Osaka is a major port city and lively commercial area that is known for its modern architecture, nightlife, shopping and food. 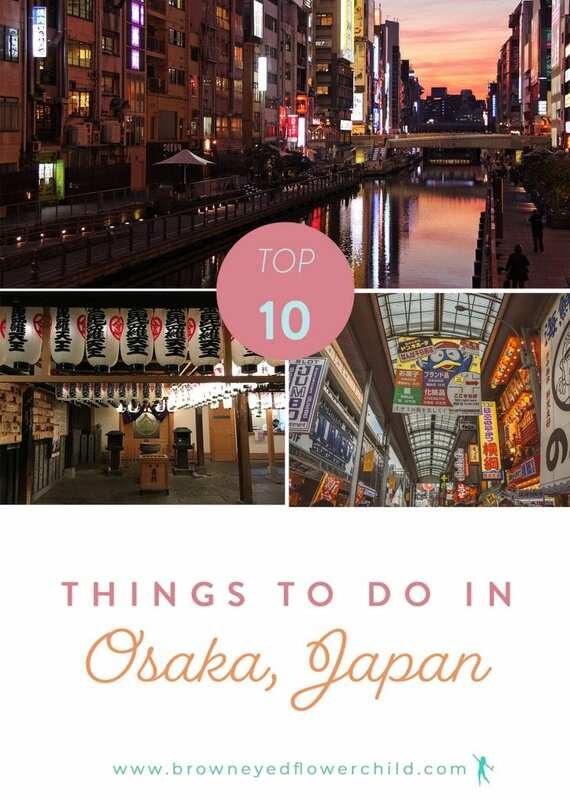 There is so much to do in this wonderful city so I am excited to list out my top 10 activities that you cannot miss out on when you visit Osaka. Getting to Osaka from other cities in Japan could be done by flight, train or car. Besides renting a car, you could pick up the train from Koyasan and take the Nankai Koya Line to Osaka’s Namba or Shin-Imamiya stations. 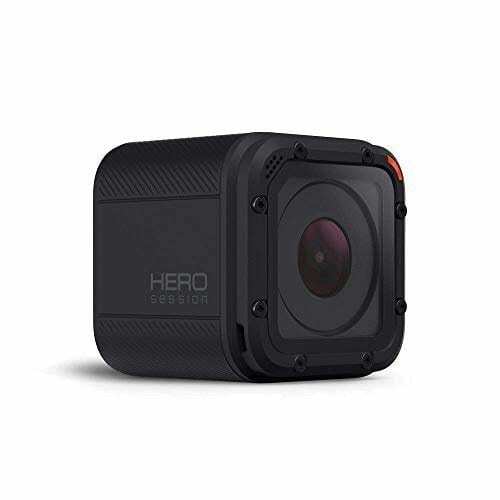 When it comes to accommodations, you could book a hotel through Expedia and there is a wide selection of Airbnb options. 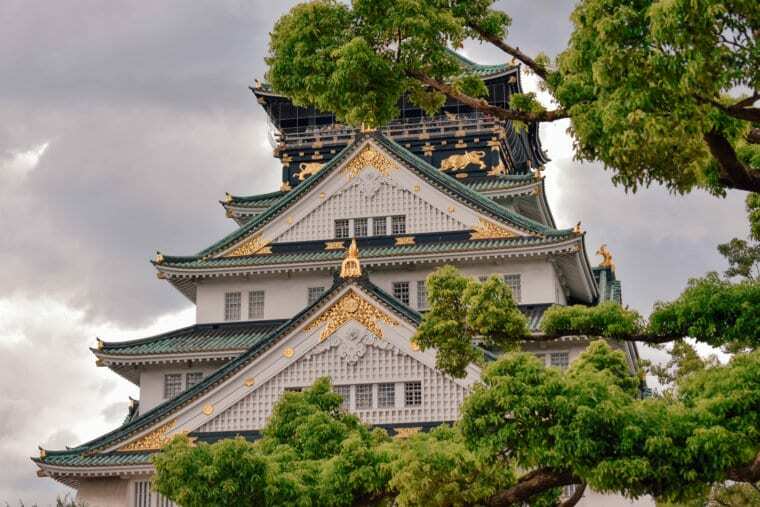 One of the first sites to visit in Osaka after traveling from Mount Kōya, Nara or even Kyoto is Osaka Castle. This beautiful castle was built in 1583 on the former site of the Ishiyama Honganji Temple, which was destroyed 13 years prior. Later on, it was intended to become the center of a new, unified Japan under Toyotomi rule. A few years after the leader of Toyotomi passed away, Tokugawa troops attacked and destroyed the castle and terminated the Toyotomi lineage. 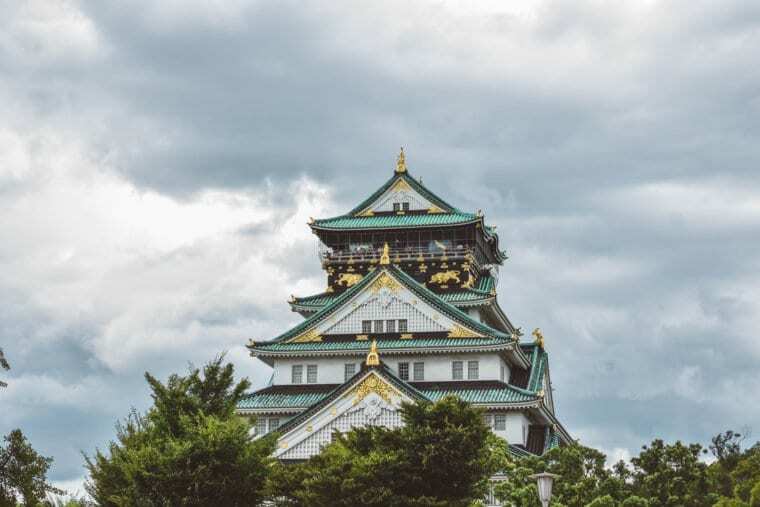 Osaka Castle was rebuilt again until it was struck by lightening in 1665 and burnt down. It wasn’t rebuilt until 1931 and then in 1997, it was renovated and it hasn’t been touched since. 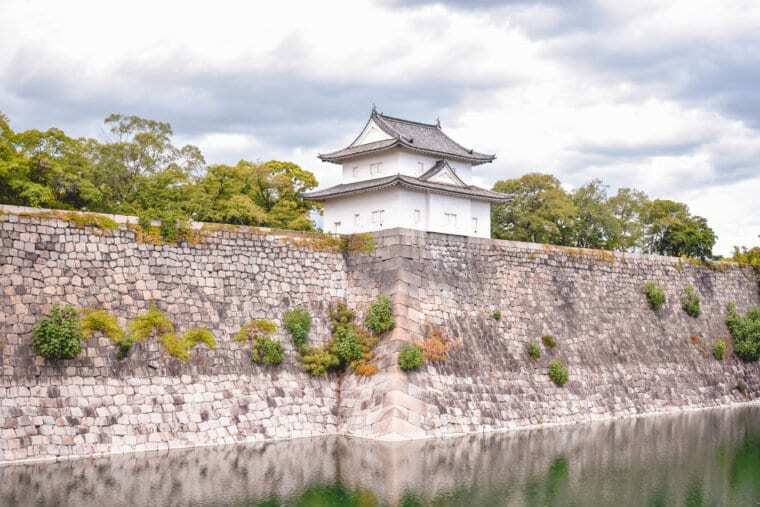 Nowadays, Osaka Castle is surrounded by a beautiful moat and you could walk through it and learn about the history behind the castle. Inside of the castle is modern and features a museum. 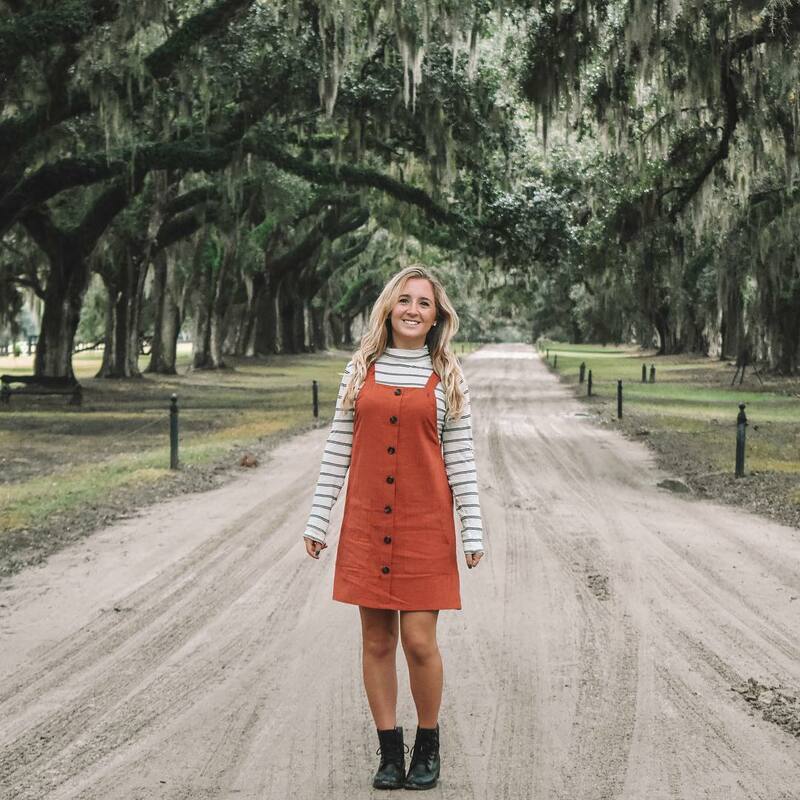 You could also stroll up to the top and capture gorgeous views of the city. Outside of the Castle are stands where you could buy souvenirs, grab some great food (I enjoyed some delicious Japanese fried chicken) and there is also a park to relax. During the springtime, this is a great area to see the cherry blossoms! 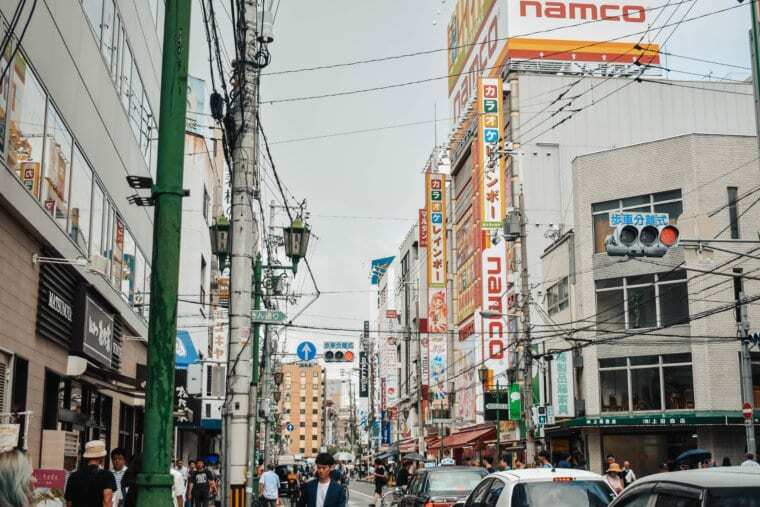 Located in the bright heart of Osaka is the Dōtonbori area. 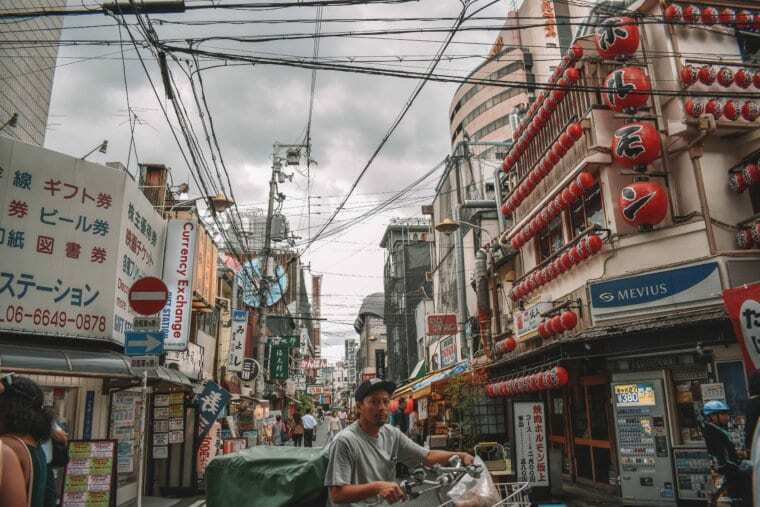 Dōtonbori is known for its famous shopping arcade, neon lights that are similar to Tokyo’s Shinjuku area, extravagant signage and a wonderful selection of restaurants and bars. 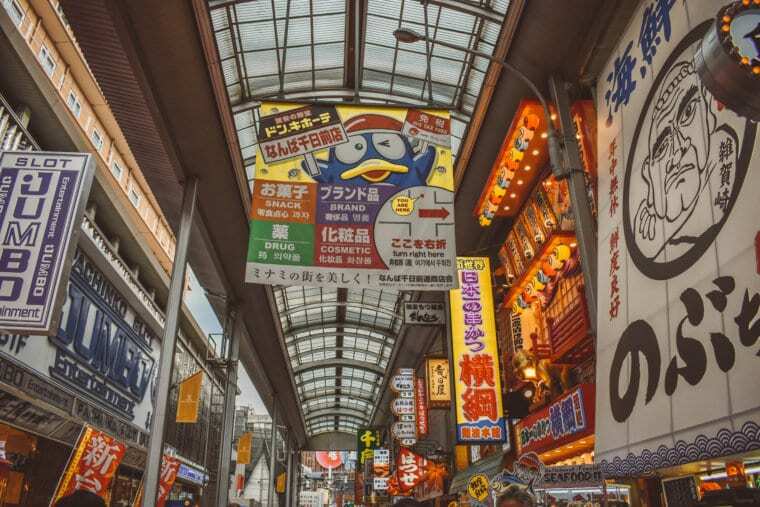 In Dōtonbori, you could find numerous shops that sell everything Japanese culture is known for. 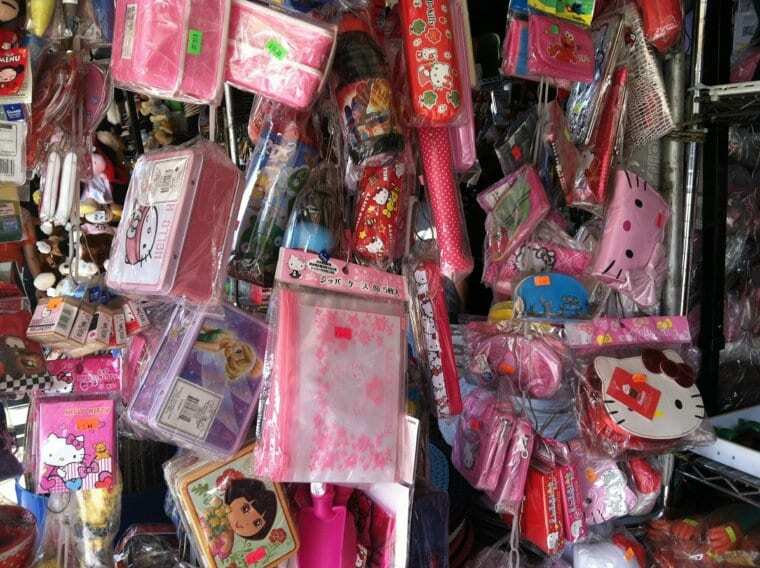 You could buy cute Japanese clothing, platform shoes, trinkets, high-tech toys and electronics, everything anime and so much more! 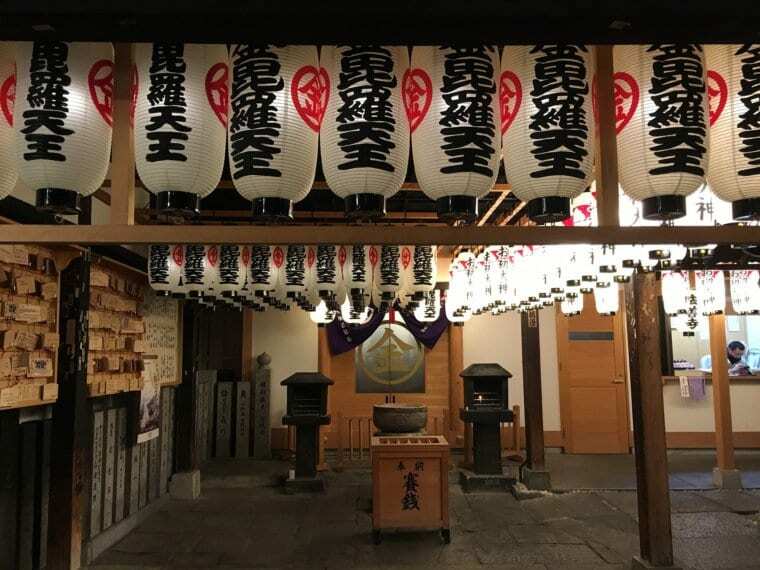 It is a MUST to visit when you travel to Osaka. Besides going to a bar or nightclub, another fun thing to do at night is go to a karaoke bar. In Japan, you could get a large group together and rent out a room for a few hours at a set cost. Inside of the room will be a big screen with a remote and you will also get a microphone or two. In addition, you will have the option to order drinks and food. If you don’t have a big party with you, they will sometimes make you share a room with another small party. 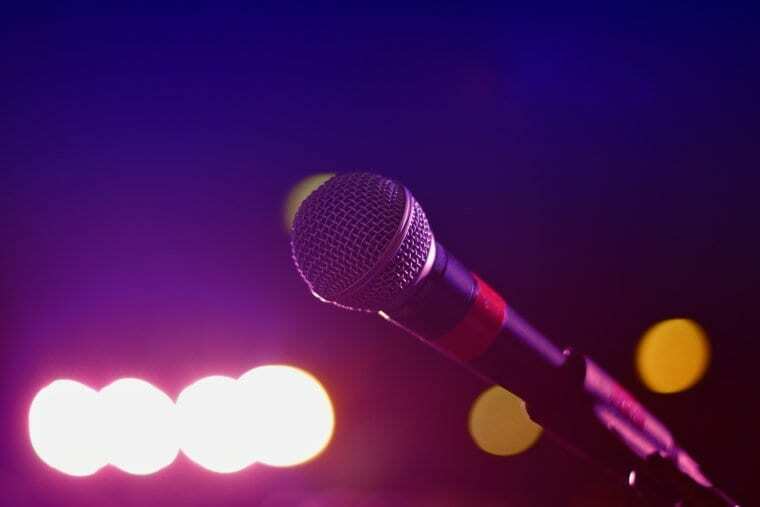 There are also karaoke bars that are more public, where you could sing in front of a larger crowd (similar to how it is in the United States). Either way, it is a good time! Karaoke is a lot of fun in general, but doing it in Japan is 10 times better! It is a great way to have fun with friends and let out your hidden singing talents. Osaka is known for a variety of different foods. Some of the popular staples are takoyaki, which is a fried dumpling; okonomiyaki, which is what I consumed in Hiroshima that consists of batter, cabbage, noodles, fried egg, pork belly and a sweet and sour sauce; Kobe beef; Kitsune udon, which is udon noodles with a piece of fried tofu on top; traditional ramen; hot pot, which is a variety of different ingredients cooked in front of you and then lastly there is Butaman, which are Chinese steamed buns. Chinese Crab Rice: Located in Dōtonbori is Little Chinatown. Prior to trying Chinese food in Japan, I was well informed that it would be much different than the traditional takeout we do here in the States. Besides steamed buns and dumplings, you could also savor China-styled rice. I enjoyed delicious rice with crabmeat, pork (even though I’m not a big fan of pork) topped with egg white and pepper. It was delicious! You could find a variety of wonderful Chinese restaurants in Little Chinatown by clicking here. Melonpan Ice Cream: Situated in the Namba district of Osaka, near Dōtonbori, is where you could savor melonpan ice cream. This type of ice cream is a sandwich with a crispy and sugary bun. 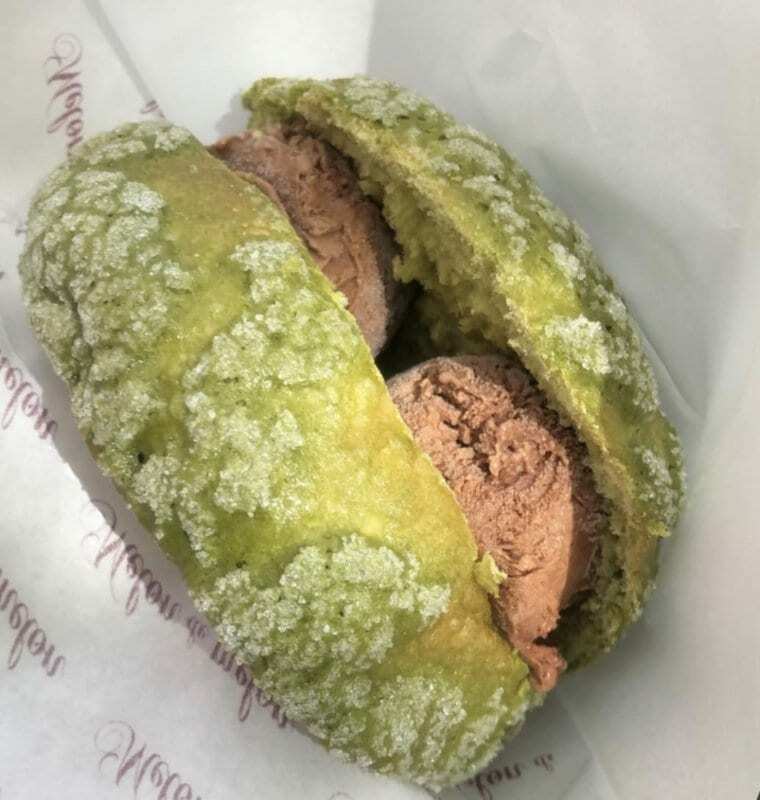 During a 100-degree Fahrenheit day in Osaka, I picked up a green tea with chocolate ice cream melonpan and it hit the spot! It was definitely the best treat to cool off with. Kitsune Udon: During my time in Japan, I couldn’t get enough noodles! Something about udon and ramen are just amazing. 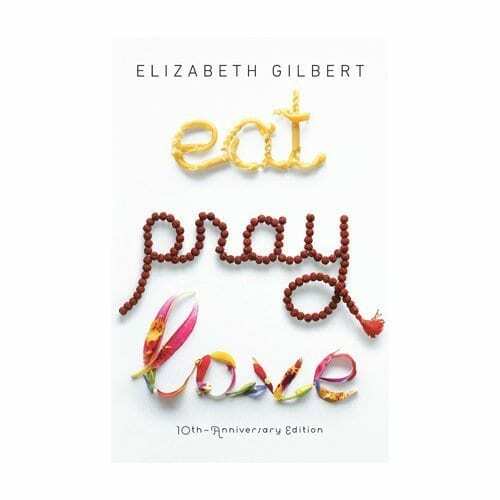 (Maybe it is because I just LOVE carbs!) Located all throughout Osaka are amazing restaurants where you could get udon. 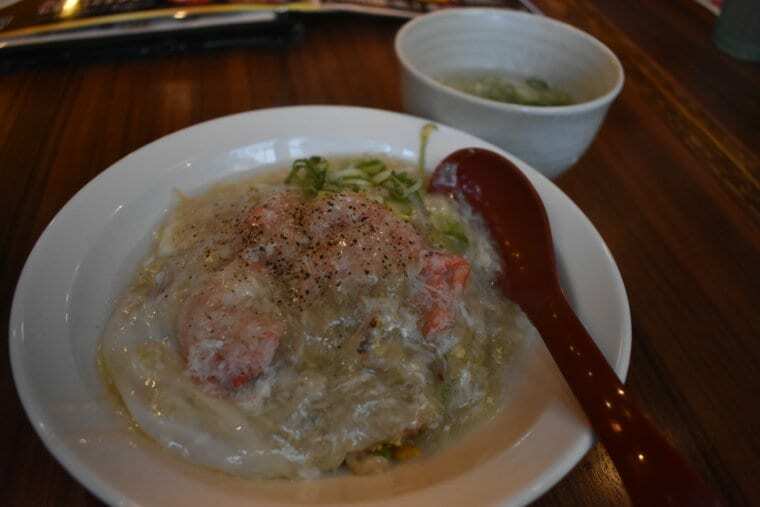 As I was strolling through Namba, I found a small, family-owned restaurant where I indulged in the best kitsune udon. It was amazing! 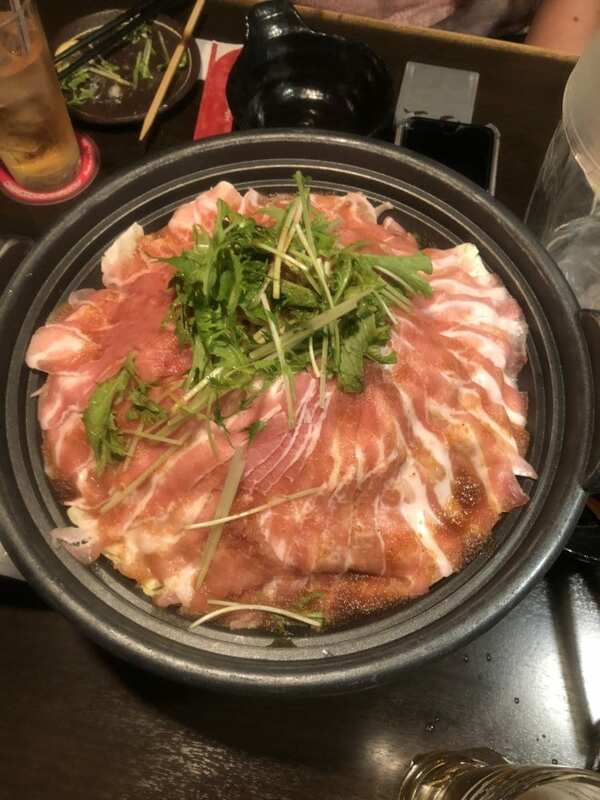 Hot Pot: On my last night in Osaka, I indulged in nabe, which is a hot pot dish consisting of pork, cabbage, a soy broth and various herbs. One of the cool things about going to a hot pot restaurant is that you actually cook the food. When you arrive at the restaurant, there will be a heated stove already situated on the table. Eventually, the waiter or waitress will come over with a skillet filled with the ingredients. Once they put the stove on, you could mix the ingredients around with your chopsticks. It is a fun experience! Like I mention above, I much rather chicken over pork, but it was still a delicious meal. You could find hot pot restaurants throughout Osaka. Traditional Ramen: No matter where you go in Japan, you cannot find a bad ramen place. Located around the corner from my hotel in the Taishō-ku district, was a small, family owned ramen shop where I was able to savor my last meal in Japan. It was perfect! The only way I explored Osaka was via the subway. Unlike Tokyo, where the subways and trains were a bit overwhelming, the Osaka subway system was a piece of cake! One of the best ways to pay and use all of the trains and subways is with a prepaid Icoca card. Even though my first day in Osaka was spent with my group, the second day I was on my own, so I got the 24-hour pass so that I could use the card without worrying about having to refill it. The subways are indicated based off of what color they are. The red and green lines were what I mainly used to get around the city. Also, I used the Google Maps app on my iPhone to determine what train I should use, where the station was located, what time it was expected to arrive and where I needed to get off or transfer. If you don’t have a smartphone, there are maps everywhere and you could also pick up a hard copy at the station. Taking the subway in Osaka is an experience in itself since it makes cool sounds and effects when the train is about to arrive. It actually makes you feel like you are in Disney World. 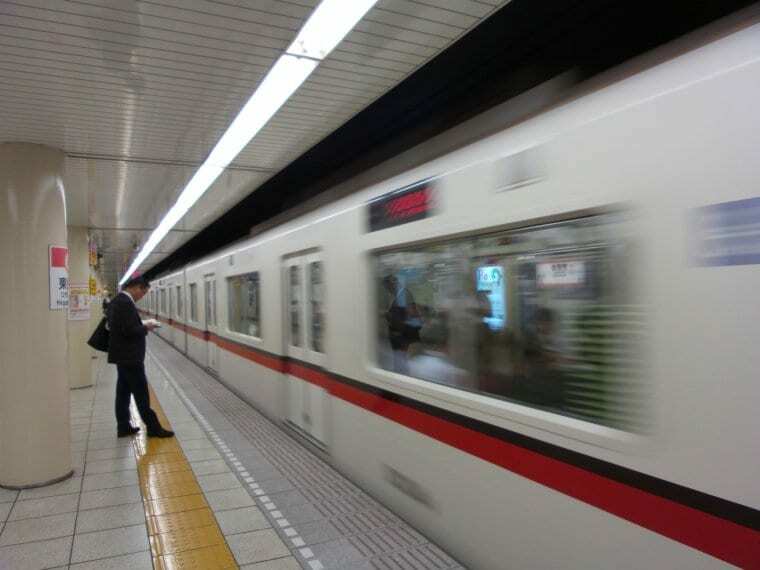 Overall, taking the subway or any sort of public transportation in Japan is made simple, easy and safe, so you do not need to worry or get overwhelmed. 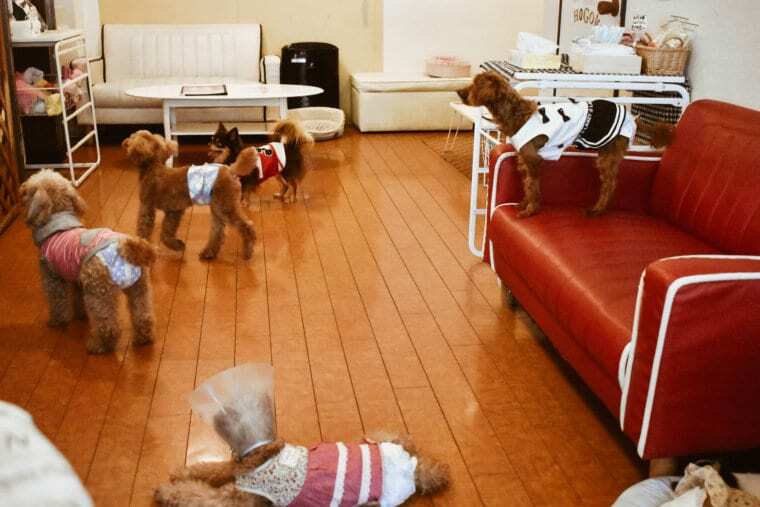 Even though animal cafés are becoming popular worldwide, they are definitely more of a staple in Japan. 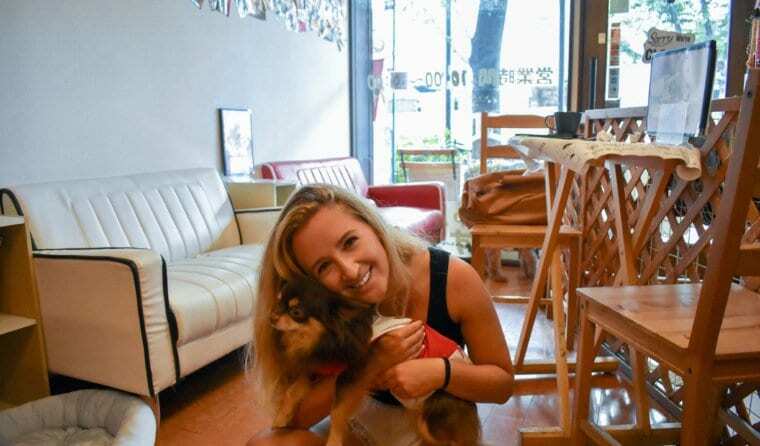 In case you do not know, an animal café is a coffee or tea joint with a bonus of being able to snuggle with your favorite pets. The most common type of animal café is a cat café, but in Japan, you could find all types (especially in Tokyo and Osaka). You could go to a dog or a specific dog breed café (such as a Corgi or Pug café) as well as cat, owl, hedgehog, bunny and reptile cafés. You could find even more animal cafés if you do your research. It is so much fun and a great way to give your favorite furry friends some love. During my time in Osaka, I was able to find a great dog café called Hogoken Café. When you first walk into Hogoken, you will be greeted with a variety of enthusiastic dogs. Most of these dogs are small, so I was able to pick them up and cuddle with them. In addition, I was also able to enjoy a cup of tea as I got to see the dogs play. If you are a Hello Kitty fan like I am, then a stop to the Sanrio Gallery in Osaka’s Shinsaibashi store is a must during your time in the city. Since this adorable cat is popular throughout Japanese anime, you could find everything Hello Kitty-related at Sanrio Gallery from bags to apparel and jewelry to cell phone cases. The famous Osaka Aquarium Kaiyukan is located in the city’s Tempozan Harbor Village near the bay. 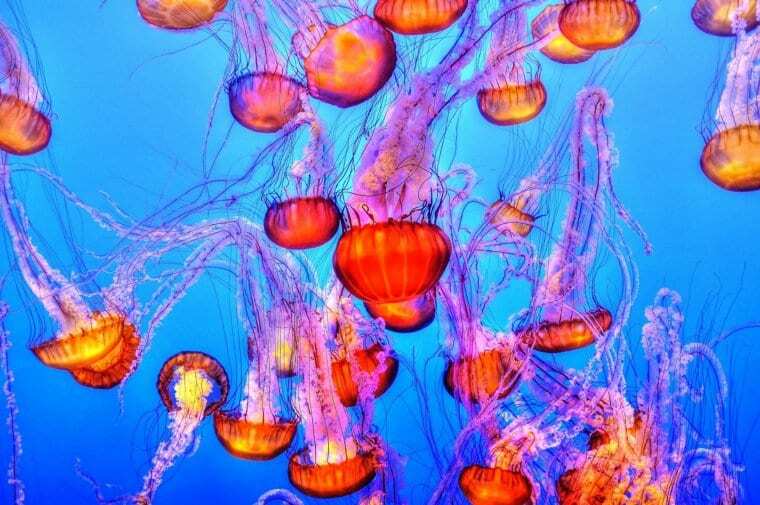 It is known to be Japan’s most spectacular aquarium as it includes various forms of life inhabiting the Pacific Rim. 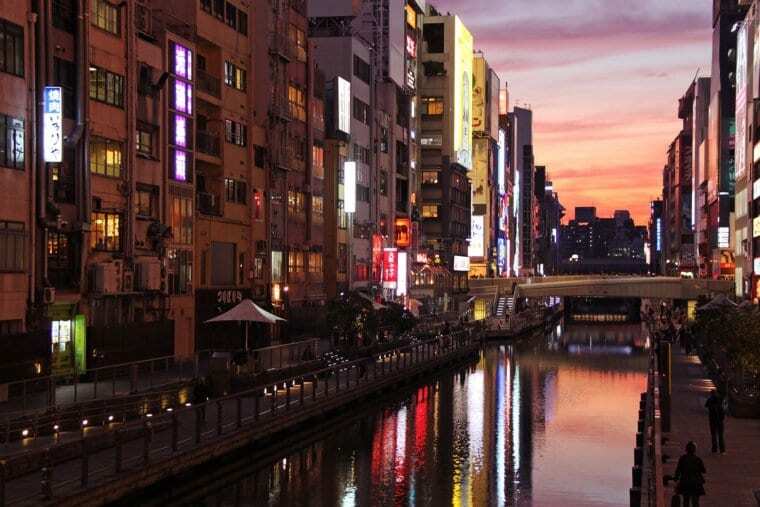 Located in the heart of Osaka is the Dōtonbori Canal. 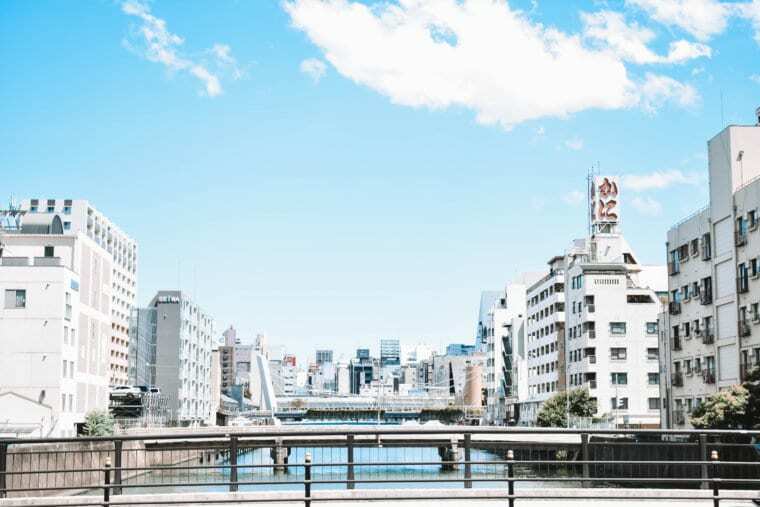 As the most colorful and lively area in Osaka, you could watch boats roam along the canals or even sign up for a tour where you will get the experience of being on the water. The canal was originated for trade, but in the 17th century, the area began to flood with entertainment. Nowadays, you could find some of Osaka’s best restaurants, bars and shops along the canal. My favorite time to go there was at night because it was absolutely magical seeing everything lit up. There is even a Ferris Wheel for you to enjoy the views. A “meido kafe” (maid café) can be found in Japan’s major cities, specifically in Tokyo and Osaka. Before I go into my experience there, maid cafés in Japan tend to have a weird reputation. Below, I will go into everything a maid café is and what you need to expect when you visit one in Japan. As my friends and I were walking through Dōtonbori, we spotted young women (specifically in their late teens/early 20s) dressed up as maids. They were handing out flyers for their show. I remember when we approached the girl; she was very “hush hush” about it. First thing that came to my mind was that it was something inappropriate and I didn’t necessarily want to get involved, but then I overheard that it wasn’t and you just needed to go to the café to see what it was about. After we agreed to go, the girl took us on an elevator all the way up a building to a colorful restaurant where we were given specific instructions. You were able to buy specific packages and the one we got was the general package where we were only supposed to be in their for an hour to enjoy a show and one drink or dessert. We weren’t allowed to share any food or drink items and we also couldn’t take any photos (hence why I don’t have any). If we wanted to take a photo with one of the maids, we would’ve had to pay extra (around 800 Yen/$7.50 USD). After we sat down, I got to take a look at the demographic in there and it was pretty diverse. There was a young child’s birthday party going on; a couple that looked like they were around my age; older businessmen; young teenage boys and another group of girls like us. I was a little confused as to why these people were here (besides the family with young children), but the maid café is supposed to be cute as possible and a way to brighten people’s day. Throughout your time at the maid café, there is a lot of dancing and chanting. Depending on the type of package you order, you could get a coffee/tea, cocktail, beer, hot meal and ice cream sundae. If you order a coffee, ice cream or even a burger with ketchup, the maid will decorate it with cute bunny ears. It’s REALLY interesting! Next, you will also probably experience a show during your time at the maid café. During the show, one or two women will get on a little stage and sing and dance to a song in Japanese. The lights will be turned off and it gets super colorful and fun! Attending a maid café was a very different experience for me, but I had a great time. 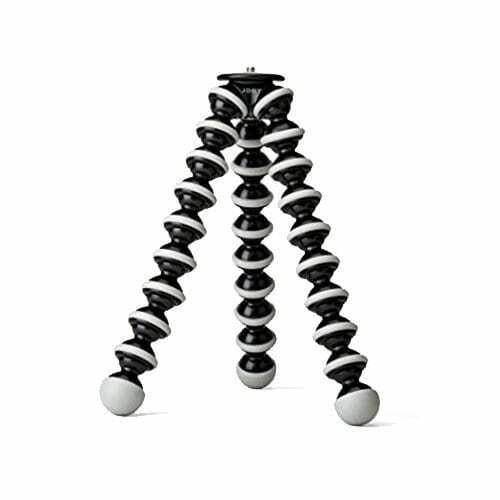 Even though the whole concept seems a bit odd, it is all harmless and just fun! You could also go to a maid café in Tokyo‘s Akihabara district. 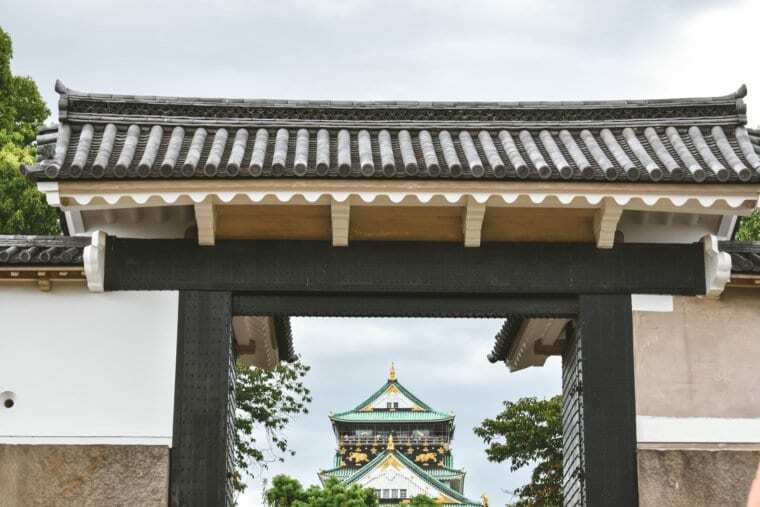 Click here to discover more to see and do during your time in Osaka. I hope you all enjoyed reading about my time in Osaka and that you enjoyed my blog tour in Japan. I am sad that I have concluded this blog tour, but am excited for all of the adventures ahead. If you have any questions about my time in Osaka or my trip to Japan in general, please feel free to email me at info@browneyedflowerchild.com, contact me via social media or leave a comment below.